Six investors, including Dangote Industries Limited, Lafarge Africa Plc; Unilever Nigeria Plc, Flour Mills of Nigeria Plc, Nigeria LNG Limited, and China Road and Bridge Corporation Nigeria Ltd are set to invest in 19 road projects, measuring 794.4 kilometres which have been prioritised in 11 states across each of the six geo-political zones. This is in line with the Executive Order 007 2019, signed on Friday by President Muhammadu Buhari on Road Infrastructure Development and Refurbishment Investment Tax Credit Scheme. The new order allows private companies to construct major roads across the country and be paid in the form of tax credit. The Minister of Finance, Mrs. Zainab Shamsuna Ahmed, will chair the 13-member schemeâ€™s management committee of various road and bridge projects under the pilot phase. In a statement issued Saturday by her media aide, Paul Abechi Ella, the minister disclosed that in the pilot phase of the scheme, six private sector players in the construction industry will execute the Executive Order 7. They include Dangote Industries Limited, Lafarge Africa Plc, Unilever Nigeria Plc, Flour Mills of Nigeria Plc, Nigeria LNG Limited, and China Road and Bridge Corporation Nigeria Limited. â€œThese Investors will be investing in the following 19 eligible road projects, totalling 794.4km which have been prioritised in 11 states across each of the six geo-political zones..,â€ the statement said. The minister said that one of her key priorities has been mobilising investments in developing human capital and physical infrastructure, in line with the Buhari-led administrationâ€™s Economic Recovery and Growth Plan (â€˜ERGPâ€™). Ahmed noted that Executive Order 007 of 2019 on Road Infrastructure Development and Refurbishment Investment Tax Credit Scheme was the outcome of her teamâ€™s efforts to think outside the box and deploy new techniques to develop critical roads infrastructure across the country. 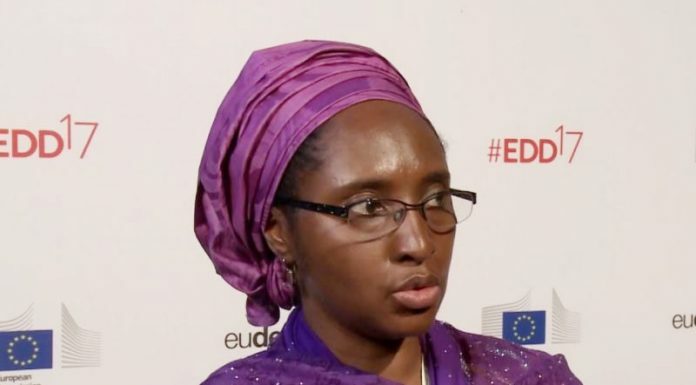 According to her, the Scheme will incentivise private sector investment in Nigerian roads across key economic corridors and industrial clusters, relieving the government of the burden of funding the initial outlays for these investments. The Scheme is based on the demand for road projects by companies and other corporate sponsors, who are willing to deploy their own working capital and financial resources to fund projects located in the major economic corridors of the country where they have significant businesses and operations.